You don’t have to be Scottish to enjoy the timeless look of plaid. 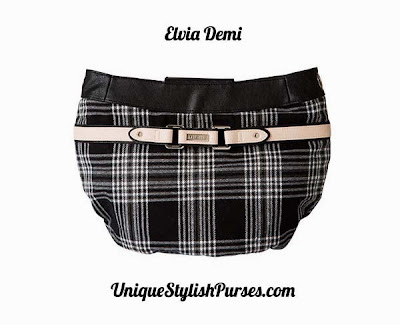 Miche Elvia Demi shell is Black, white and grey flannel is soft to the touch and goes with just about anything. The chic factor is raised to even higher levels by a cream and black faux belt detail with silver hardware along with a large open back pocket.